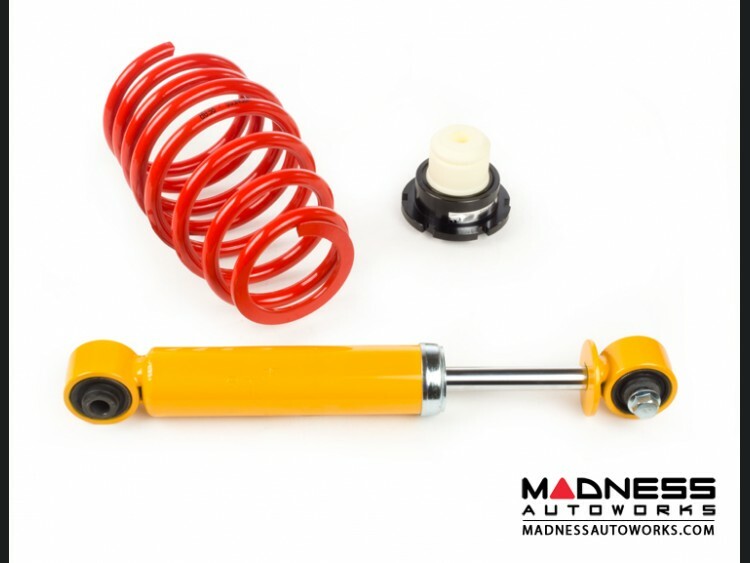 The #1 selling Coil Over Kit for the FIAT 500 has just been revised and improved! 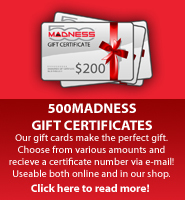 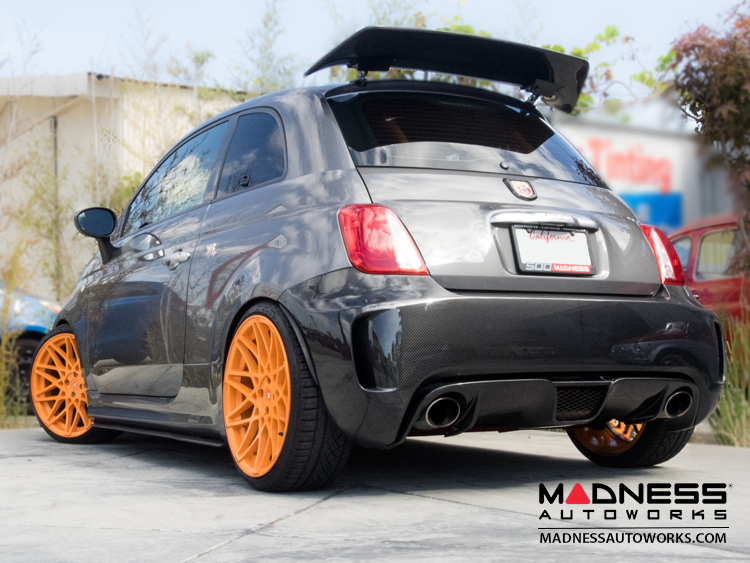 As good as the original was, this new MADNESS Autosport Version by V-MAXX is even better! 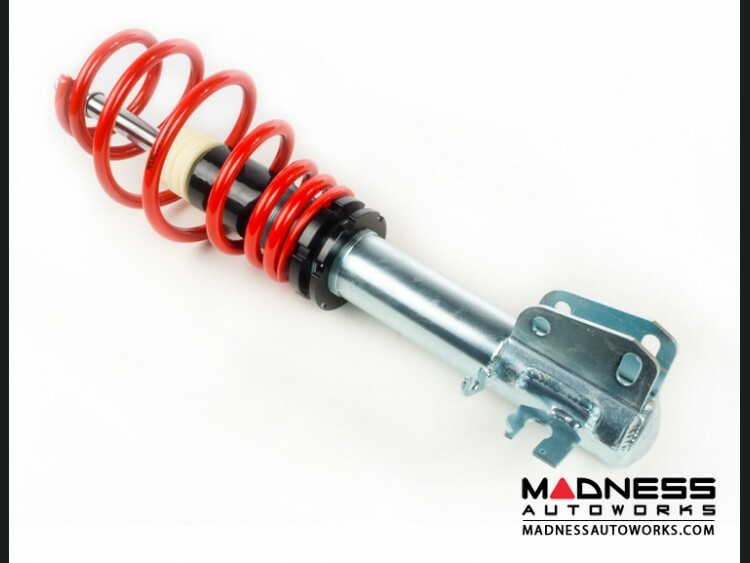 Completely revised to offer the absolute best value in coil over suspension upgrades! 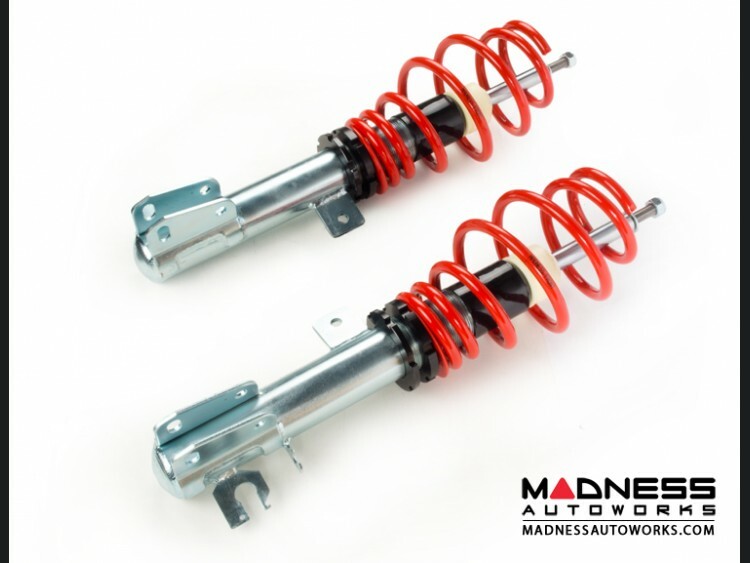 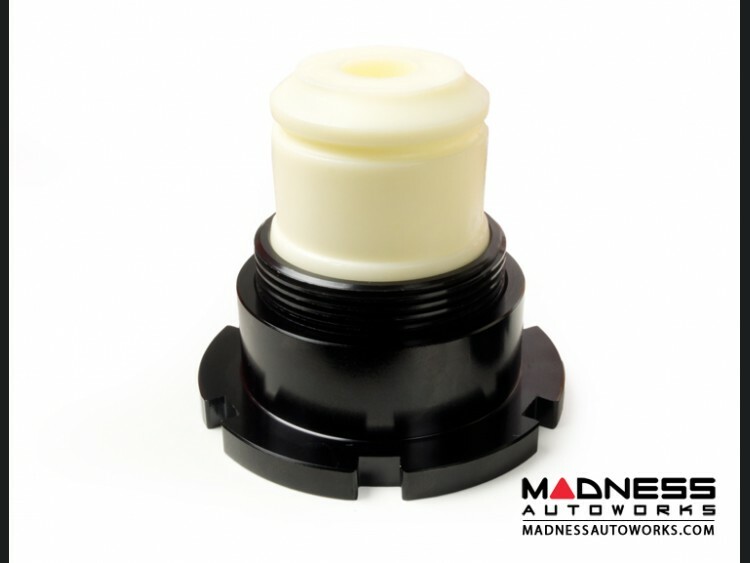 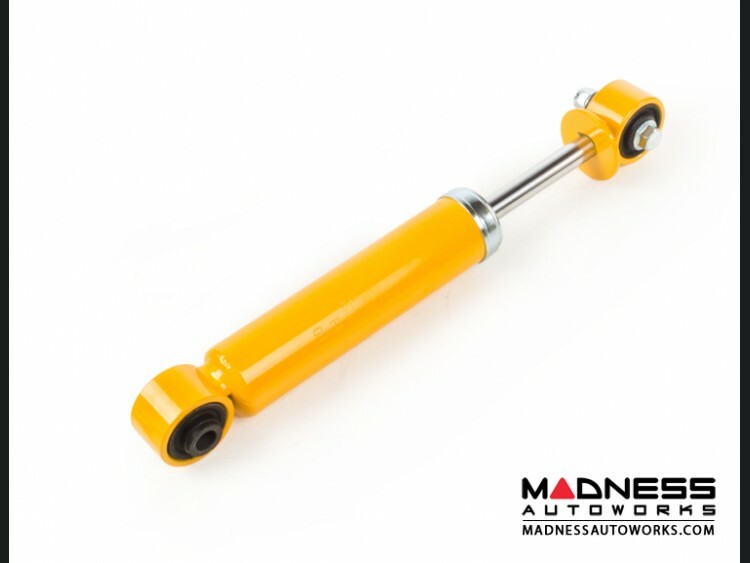 The new MADNESS Autosport Coilover Kit is manufactured under contract in Netherlands by V-MAXX. 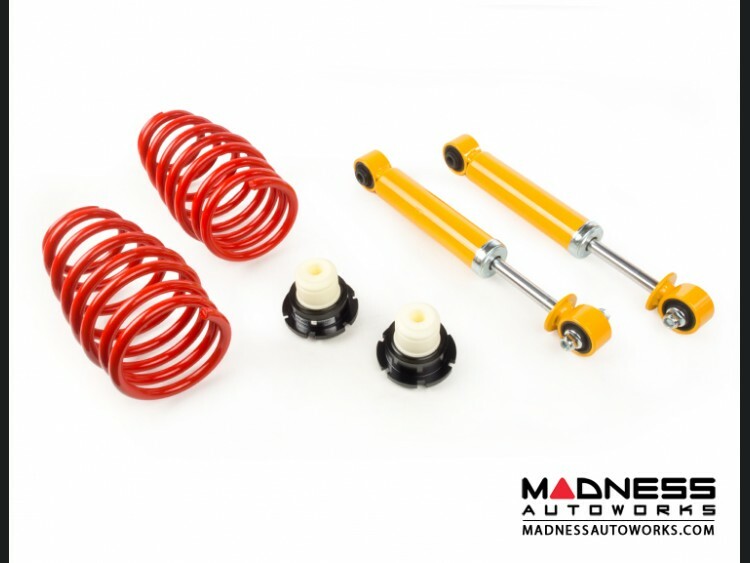 These Coil Over Kits are of the highest quality and carry the strict and difficult to obtain German TüV certification. 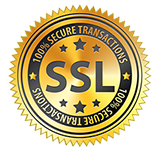 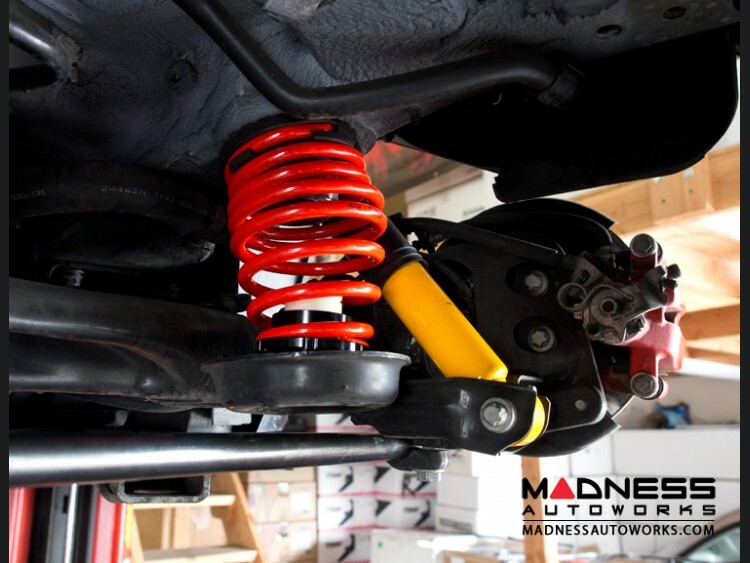 In addition, the kit comes with a full 2 year manufacturer warranty. 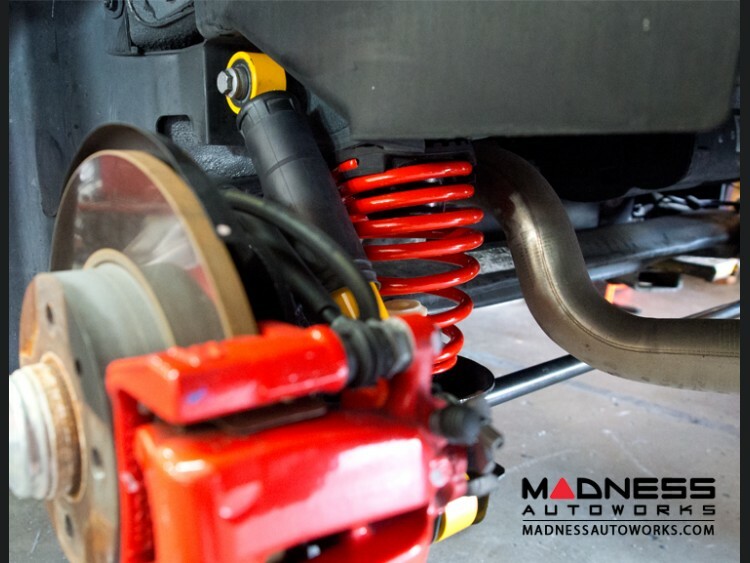 Rest assured that when you choose this coil over kit, you are choosing a set that is not only high quality, but also an excellent value! 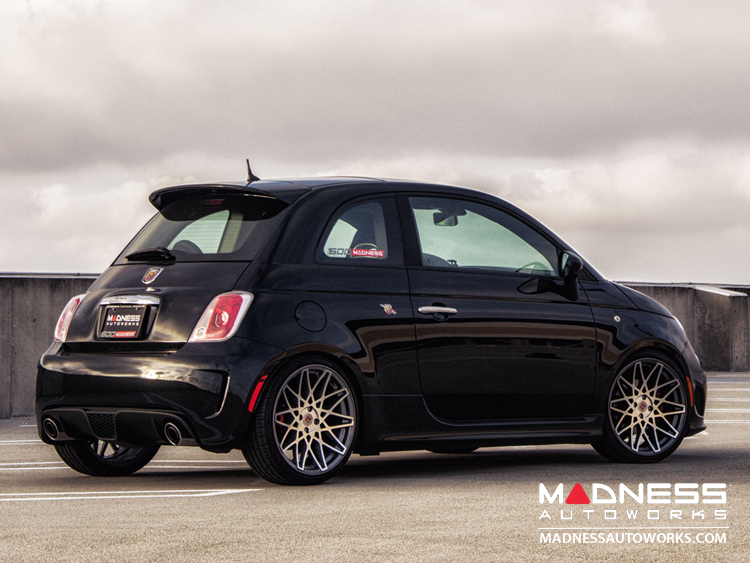 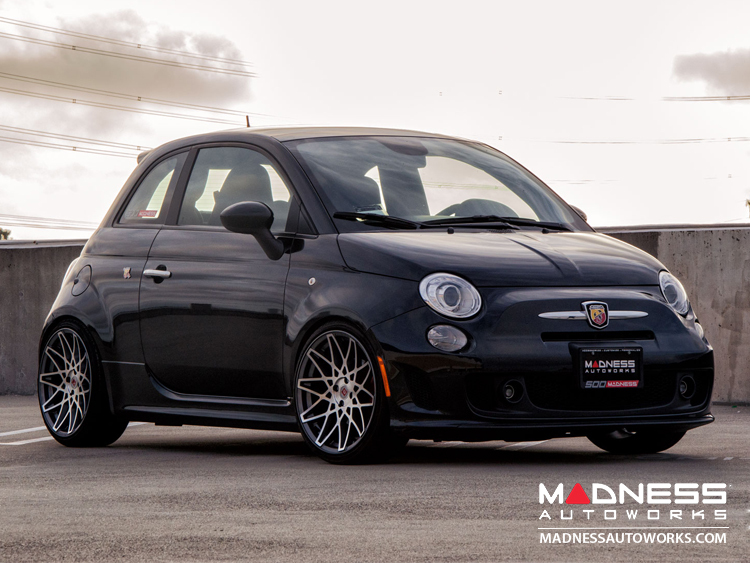 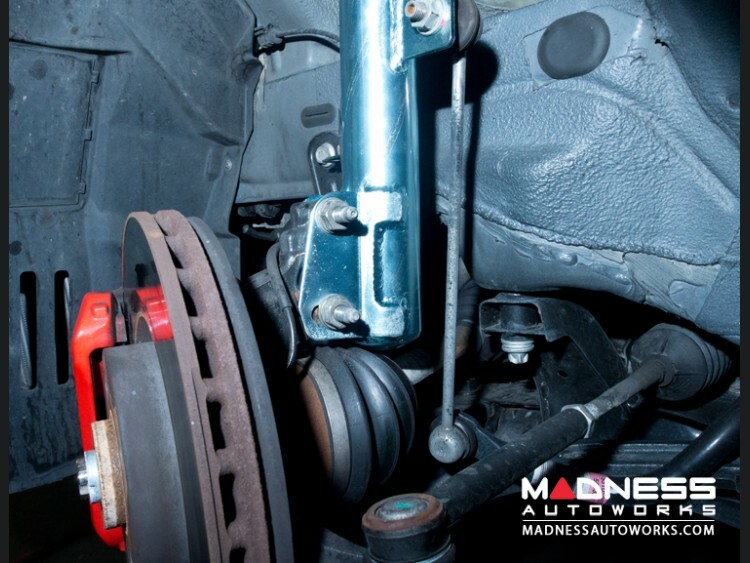 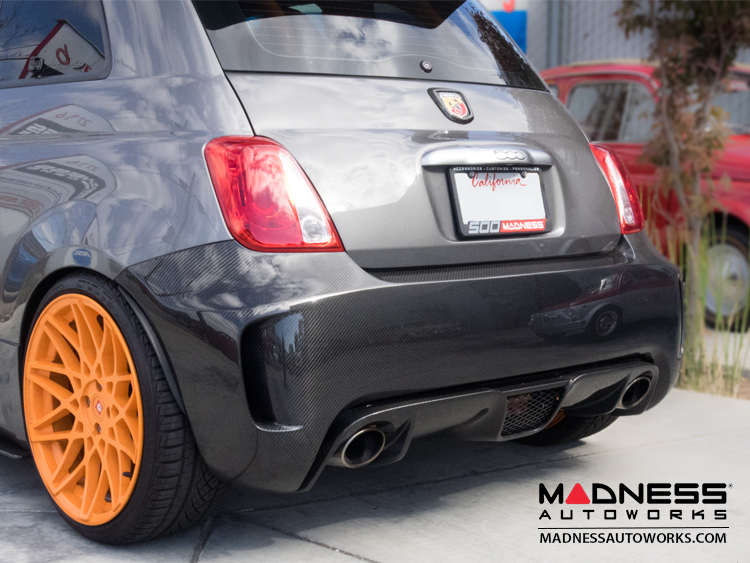 This kit gives you maximum flexibility in setting the perfect ride height for your FIAT 500. 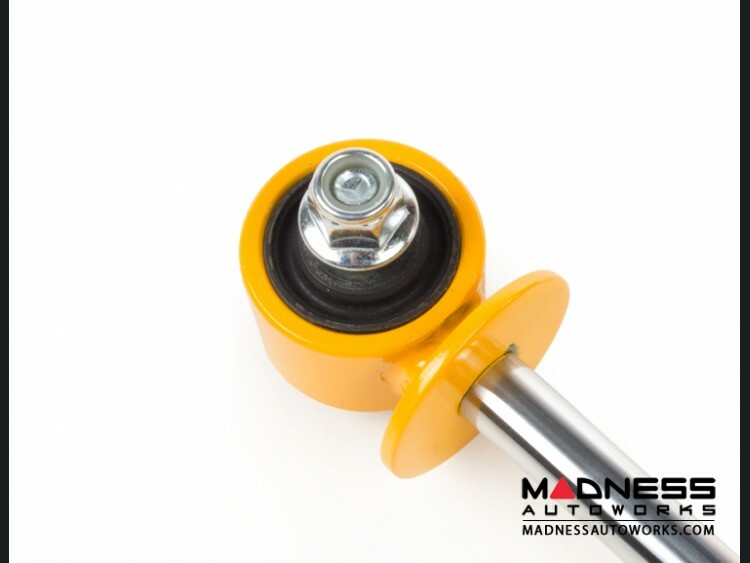 Height is adjusted from low to very low with the adjustment tool included. 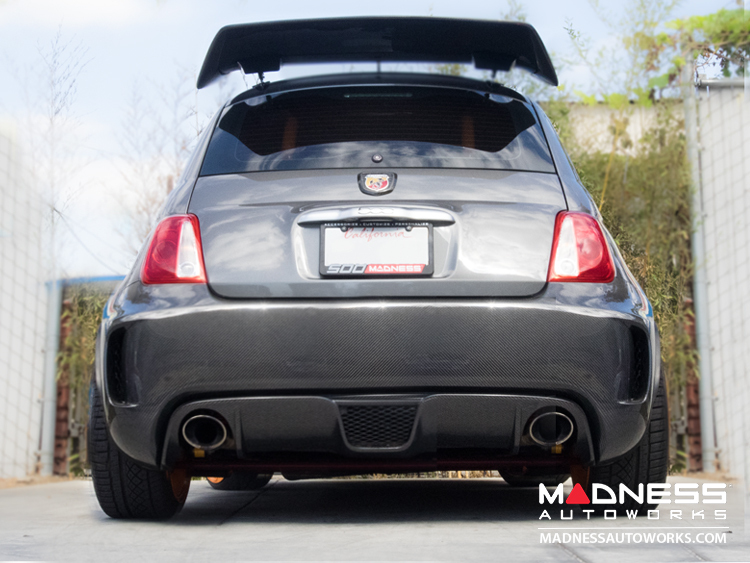 No other kit will allow you to lower your 500 as low as this kit without doing additional modifications. 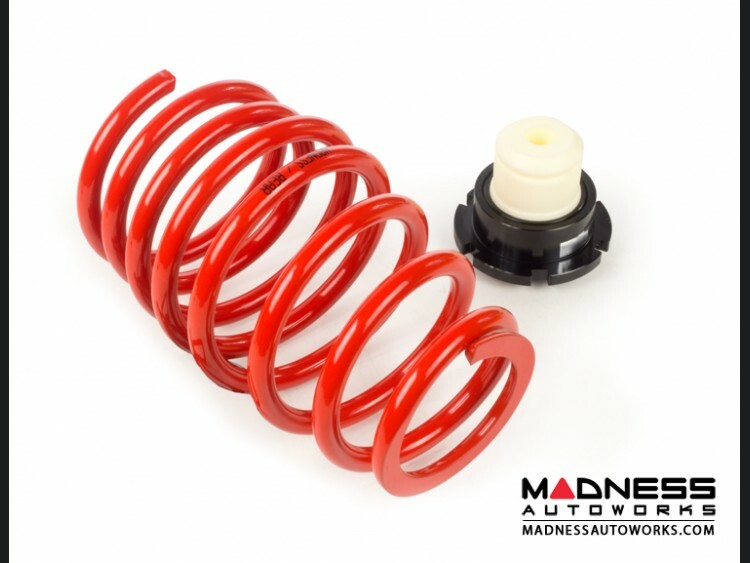 *Progressive rate springs allow you to properly lower your 500 on relatively short spring travel while maintaining a proper sporty ride. 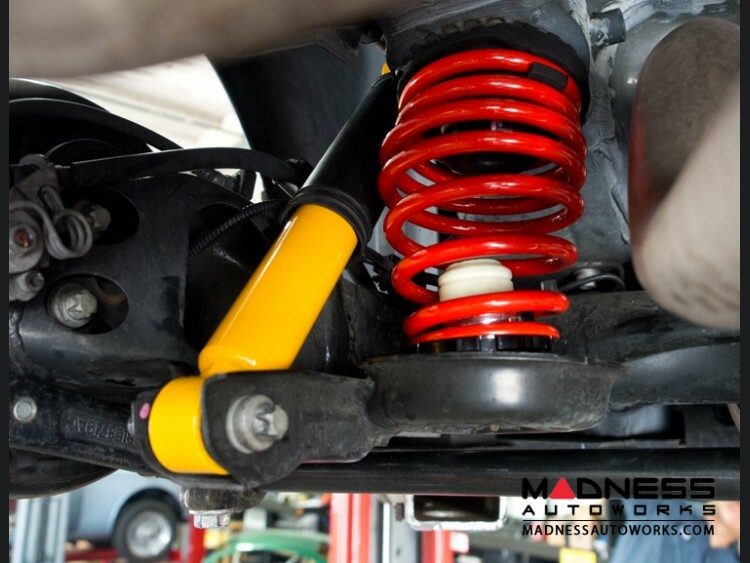 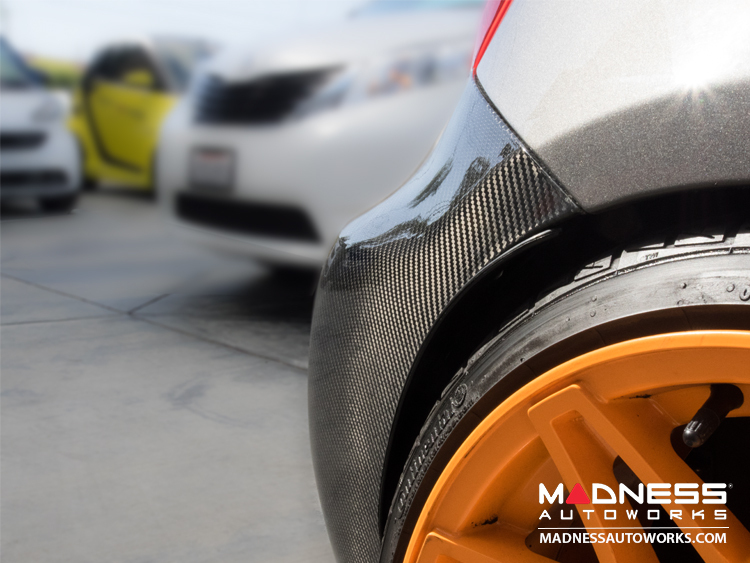 A progressive rate spring is relatively comfortable when it is not compressed, but when your car is loaded with more weight or when you are braking or cornering hard the springs get progressively stiffer in order to prevent you from bottoming out your suspension. 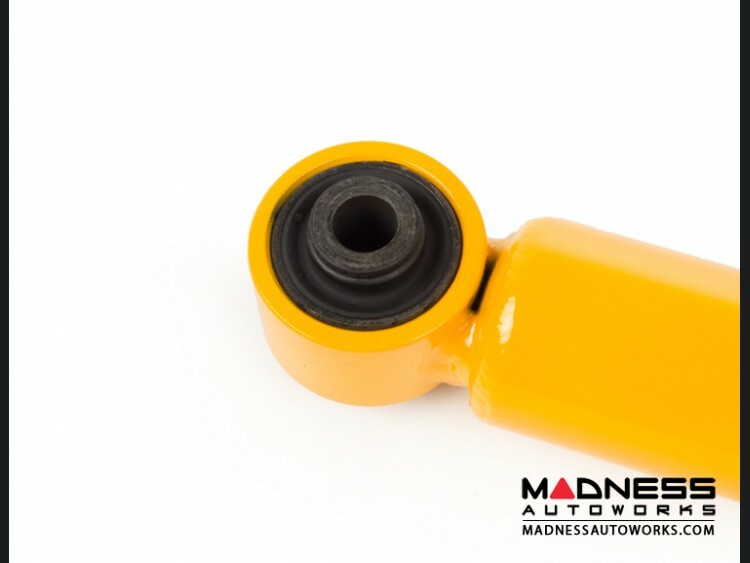 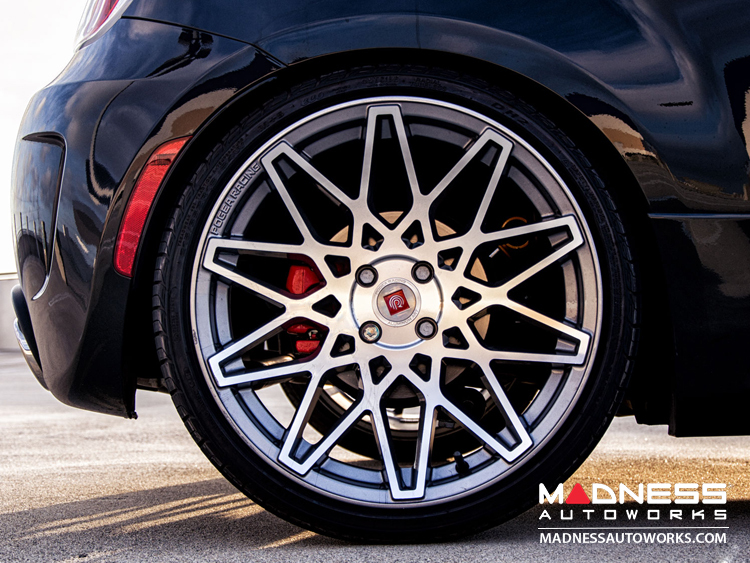 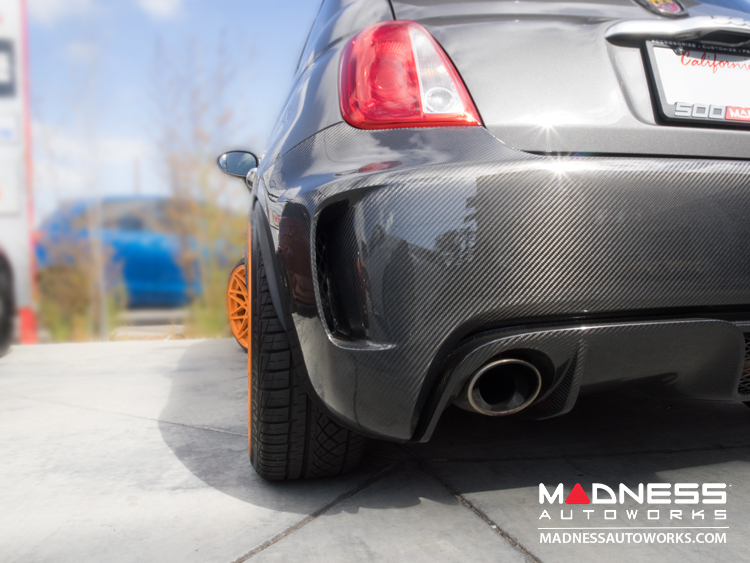 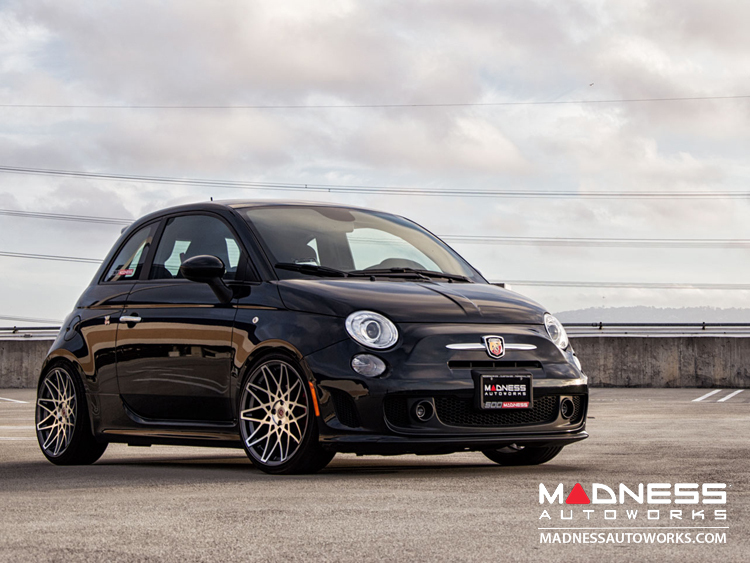 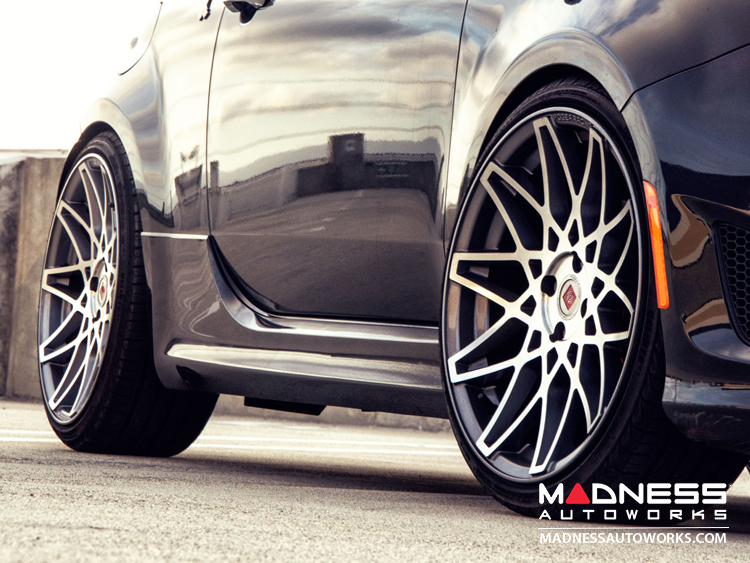 This system was designed for those that would like to have the ability to significantly lower the ride height of the FIAT 500. 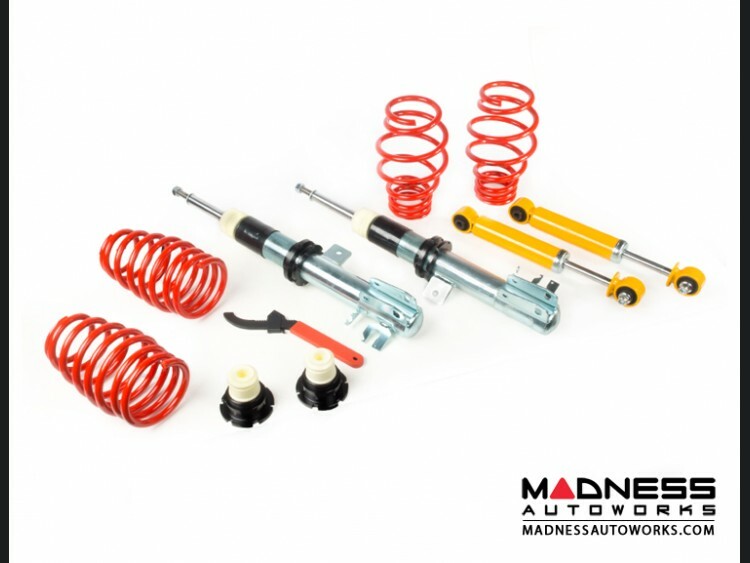 Please note that when you install this kit you will have the ability to significantly lower your vehicle and as you lower your car you will significantly upgrade the handling of your car, but you will give up the comfortable ride of a stock suspension.